Increased use of mobile devices is putting more and more people at risk of cyber-attacks, security firm warns. 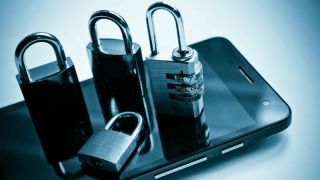 Smartphone users have been urged to ensure their devices are properly protected against cyber threats in a new report from one of the world's top security firms. The latest Kaspersky Cybersecurity Index has warned that over-reliance on mobile devices could be putting consumers around the world at risk as they stop using PCs for many everyday tasks. For example, the company's research found that the proportion of users who had accessed emails on the mobile devices has risen from 59 per cent in the second half of 2016 to 67 per cent now - more than two thirds of the total. In contrast, 78 per cent of users accessed their email account from computers, compared to 87 per cent in the previous six months. This growth was also seen in the amount of users using their mobile devices for online shopping, which increased from 41 per cent in the previous six months to 50 per cent now, with those using PCs decreasing from 80 per cent to 75 per cent. Despite this increase in mobile usage, Kaspersky Lab has warned that many of these devices are unprotected, leaving them vulnerable to attack. It found that 41 per cent of users admitted they have no security protection at all on their mobile devices. This is despite huge recent growths in mobile malware, with Kaspersky Lab’s databases have listed over 20 million malicious objects targeting Android devices since the start of 2017. This had also shown an increase in detected attacks, with over one in four (27 per cent) respondents saying that they had been a victim of cybercrime, on some type of device. “Irrespective of people’s age and occupation, the focus of their digital lives is increasingly shifting onto mobile devices – people trust them with their secrets, files, confidential information, money and many other things," said Andrei Mochola, head of consumer business at Kaspersky Lab. "However, cybercriminals are also shifting their tactics and are increasingly attacking mobile platforms. It is therefore imperative that modern smartphones and tablets be as protected as our computers. In addition to safeguarding our own devices, people need to look out for each other and help friends and family members to practice safe Internet usage to reduce the risks they face."